The natural habitat of the Asian elephant is shrinking rapidly throughout Asia. Despite the efforts of many countries to preserve it so it is important to continue our efforts in conserving wild elephants and to support those institutions such as the Wildlife Trust of India that spearhead these conservation campaigns and that help resolve human-elephant conflict. While we applaud the notion of reintroducing captive elephants into to their natural habitats, this isn’t practical because there simply is only enough habitat for the existing wild elephants let alone the 14,000 captive ones. Furthermore, many of the wild elephants such as those in Myanmar (at 2000, Myanmar has the world’s largest population of wild elephants) do not optimally occupy their wild habitat ranges because of poaching. Instead, they tend to linger closer to human settlement, which again raises issues of human-elephant conflict. Due to the depleting natural habitat and the increase (due primarily to increased poaching) of the demand for, not only ivory, but the entire animal for traditional medicine (the trunk, skin and feet are still highly valued for their purported medicinal effects) the options for the survival of the elephants are fading away. Yet, there is no better all-terrain vehicle than an elephant. The ridden elephant is reliable and silent. It can traverse forest, steep gullies, swamp and river and is more sure-footed than the horse. In addition, the elephant has an extraordinary sense of smell owing to a vast network of olfactory tissue and neural pathways. Our next training phase involves training elephants using their sense of smell to locate poachers which will further increase the security of not only elephants but also rhinos and tigers which are likewise the target of poaching. 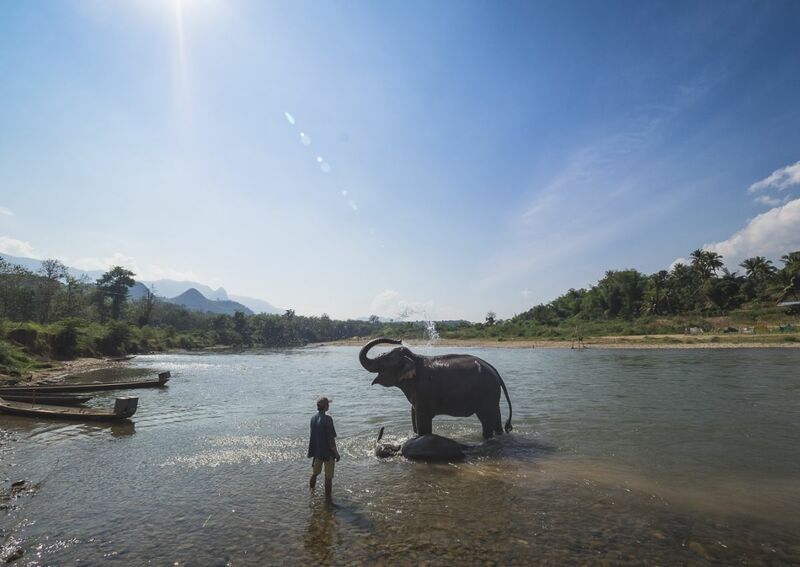 Elephants bathe in the river on a hot day near Luang Prabang, Laos. While the topic of riding elephants is a vexed issue we believe: That if the elephants undergo humane training, if they carry no more than 2 tourists at time, work a limited number of hours per day, a limited number of days per week, and a limited number of weeks per year then we see that this outweighs the terrible fate of thousands of elephants doomed for the traditional medicine market which is willing to pay hefty prices for elephant products. This popular debate needs to consider the outcomes for the elephants if tourist riding disappears. For example, the embargo on logging in Myanmar means that the 3000 elephants owned by the Myanmar Timber Enterprises face the fate of being killed for traditional medicine unless they can be retrained for anti-poaching surveillance of national parks or properly regulated tourism. While it is not well known, regulatory restrictions on elephant riding such as limiting the number of riders, hours, days and months have already been implemented in Thailand by the National Elephant Institute. 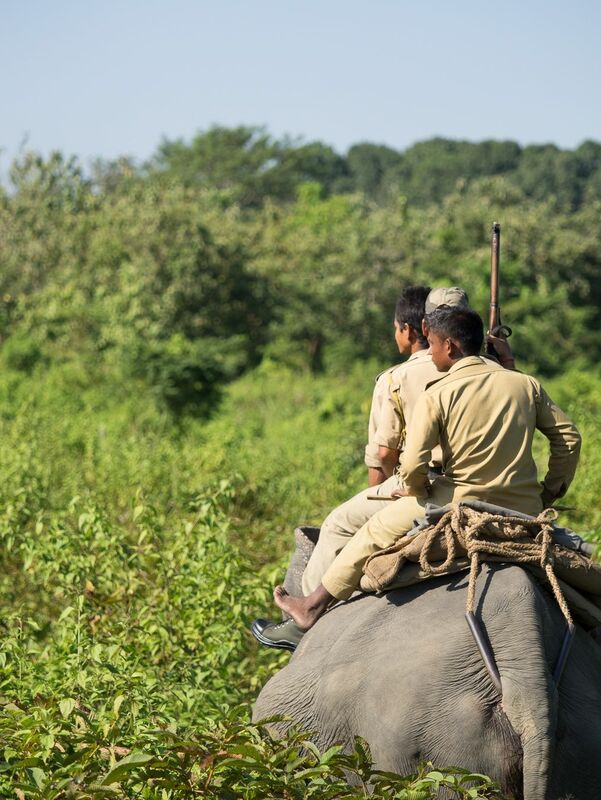 Part of the H-ELP Foundation’s mission is the welfare of the mahouts themselves. We hope to establish mahout schools where elephant health, management and training can be taught and that this knowledge is recognised as legitimate and important education which can then lead to improved economic conditions for the mahouts and their families. 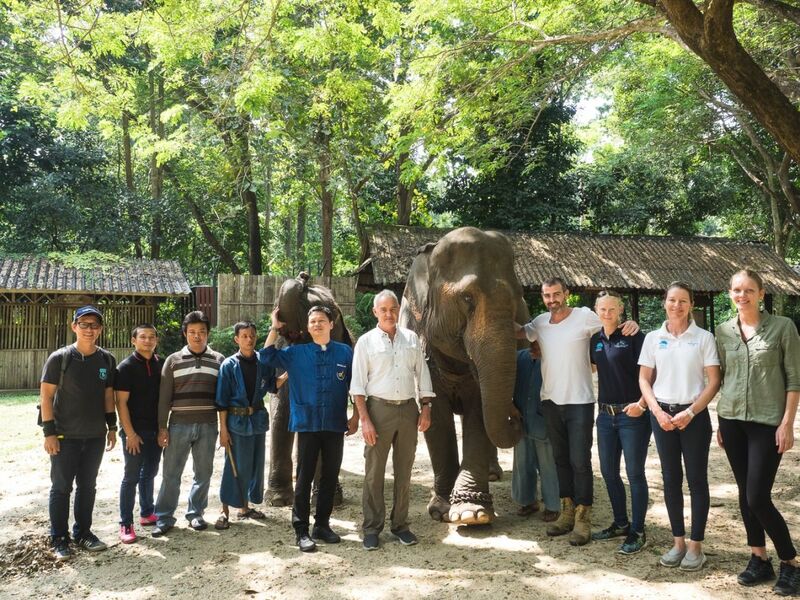 The team and mahouts at the NEI, Thailand. The elephants and mahouts need our help. Without the assistance of benefactors, we face the extinction of this iconic species in the wild. Our belief is that currently, at least, the improvements in the lives of working elephants and their use for patrolling and protecting national parks is essential to the survival of wild elephants. Like humans, elephants live long lives and shutting down all elephant riding will lead to decreased welfare for both elephant and mahout. In essence, we can help elephants save themselves so that sometime in the future, the only elephants that exist will be those in wild habitats that are conserved for all time. It is important for the H-ELP Foundation to inform the conversation and ultimately lead to universal protection and conservation.